GAF TruSlate is a remarkable roofing product. Slate is a very durable and beautiful roofing product that can last for a very long time. The problem is it is very heavy. Unless your home was designed to support the weight of slate, it is not an option for most homeowners. That is not the case with TruSlate. 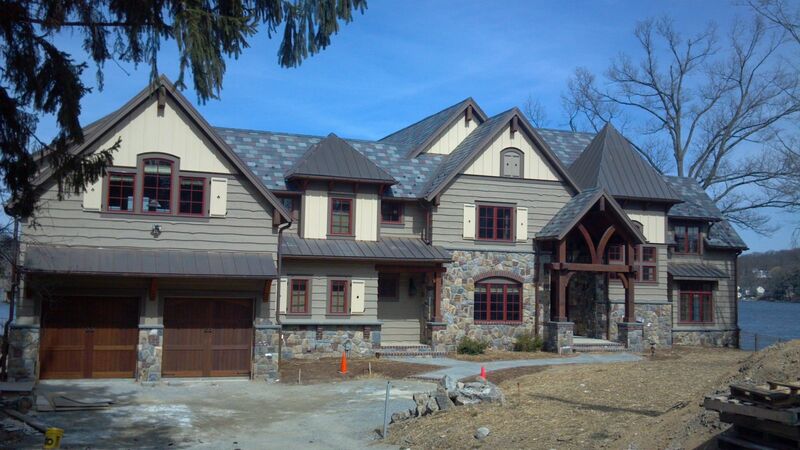 GAF has designed a system that allows real slate to be installed on almost any home. Traditionally installed slate overlaps itself and you only see about 50% of the actual slate. With TruSlate, GAF designed a high tech waterproofing material that takes the place of the portion of the slate that in not seen. This and the unique installation method using stainless steel batton and hooks make this a true breakthrough. Custom Home Builders love this material. They can install a slate roof on a new custom built house without having to increase the structural components of the house. The new homeowner gets to have a slate roof without having to pay for the added cost of the extra framing and structurally engineering required with a traditionally installed slate roof. GAF believes in this product enough to offer a non-prorated 20 year workmanship warranty and 50 year material warranty. The Ultimate Pledge Warranty can only be offered by a GAF Certified SlateCrafter installer. With this warranty it not only covers the slate but the entire roof system. Schwartz Residential Roofing is a certified GAF SlateCrafter installer. The cost of a TruSlate roof is similar to a traditional slate roof. 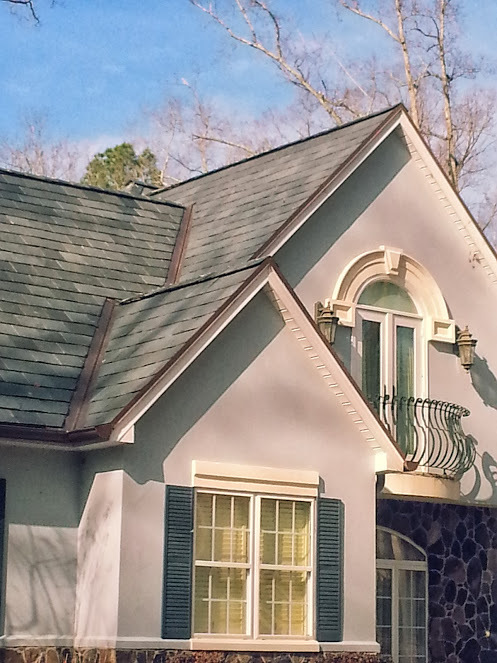 It is the only slate roof that carries a manufacturer’s workmanship warranty and a total roof system warranty. 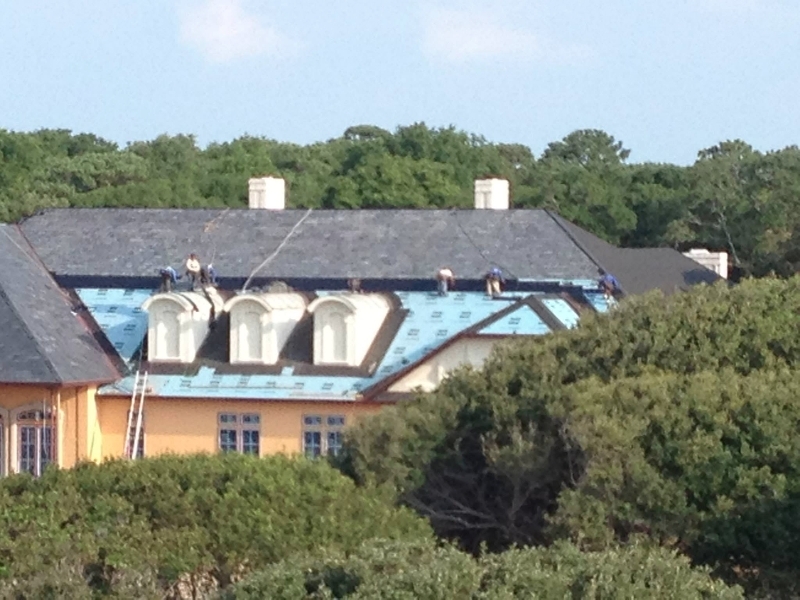 Schwartz Residential Roofing has installed many TruSlate roofs. We are a GAF certified Slate Crafter TruSlate installer.